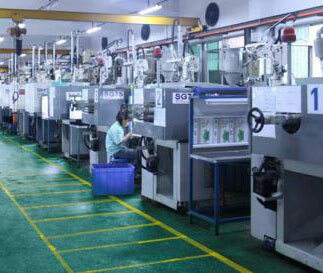 With the rapid development of China's economy, the manufacturing industry has also accelerated the pace of development. This poses a higher and faster demand for the Chinese mold industry. 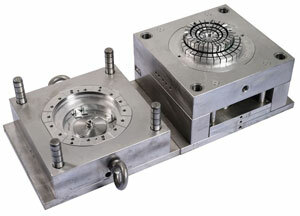 The advanced world mold technology also promotes the development of China's mold industry. With a wide variety of products, the speed of mold renewal is also fast, mold technology development need to meet the product requirements. The injection mold is an important branch in the mold technology, its structure and processing quality directly determine the quality and efficiency of plastic parts products, the following are some common problems and their reasons of injection molding process and plastic products production. 1 Injection products turn black, change color. First, need to check the mold hot ruuner system is working normally, in addition, the defects of the stuff canister and the screw can also cause the melt to aggregate and be heated for a long time, resulting in blackening and coking. What’s more, such as ABS, if appear cross-linked coke in the cylinder, difficult to dissolve, and finally forced into the product by crushing. Second, need to check the mold exhaust system. When the exhaust system fails, it is easy to coking. In addition, incorrect use of lubricants and release agents will also result in coking. Third, if the plastic raw materials are not stored properly, may be contaminated. Fourth, if operator is lack of experience, caused mold pressure, speed, back pressure, and speed to be too large, leading to decomposition of raw materials. By the way, stuff canister need to clean regularly, reduce residual additives. Different materials should use different additives. Some injection products will be delaminated, the main reasons are plastic temperature is too low, the speed is too slow, the back pressure is insufficient, and other impurities are mixed in the raw materials. To solve these problems, the raw materials must be controlled to the specified temperature and the internal stress and weld seams must be reduced. Increase speed, reduce impurities. Some products will appear blistering and deformation, especially in particularly thick locations. Insufficient heat release causes this problem. To solve this problem, first of all, the product must be fully cooled, so that the mold temperature, mold opening time is reduced, while processing temperature can be reduced at the same time. 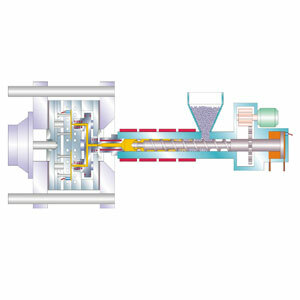 If there are many problems with the product, the pressure holding time can also be extended. This problem occurs mainly in parts that are particularly thick or very thin and can reduce the appearance of these elements when designing parts. For example, Organic glass and polystyrene, put them under the sunlight, you can see the light through the crack. Due to the processing internal stress pulls the flow of raw material molecules and causes them to gather unevenly. Through the light, these fine lines are found. To solve this problem, first, plastic raw materials should be fully dried to remove impurities and gases. Second, Raise mold temperature, adjust stuff canister temperature and reduce raw material temperature. Third, need high injection pressure, low injection speed. Forth, dredge all exhaust channels, clean up spray nozzle, flow channel, and clear all possible clogging channels. During production, the gate sticks to the gate sleeve, need to knock the nozzle to loosen to open the mold. It is not conducive to improve the production efficiency. The method to solve this problem is to clean the gate taper hole in time to keep the surface smoothness. In addition, the hardness of the gate material is not high, resulting in deformation or even damage of the gate hole after processing for a period of time. 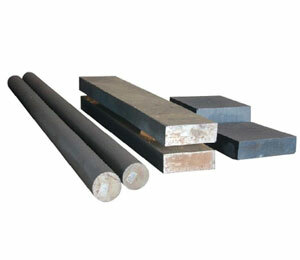 Therefore, the gate must use standard parts, and it is not free to process and purchase the gate taper hole. 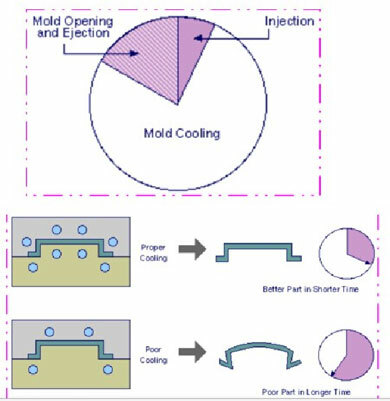 The guide posts play a guiding role in mold processing, allowing the core to not collide with the molded surface, so the guide posts cannot be positioned or subjected to stress during mold design. In the design, when the wall thickness and side of the plastic part are uneven or asymmetrical, when the raw material flows, the pressure will change with the wall thickness and asymmetry, which will cause the guide column to produce a lateral offset force, causing wear. ACO Mold as a professional injection mold manufacturer with complete after sales service, help to solve various problems.